We stood in front of the bubbling and gurgling geyser, Strokkur, watching it churn in a hole just 30 feet in front of us. It belched and tossed up a five-foot gush of water, then detonated a projectile of water that flared upward more than 100 feet. 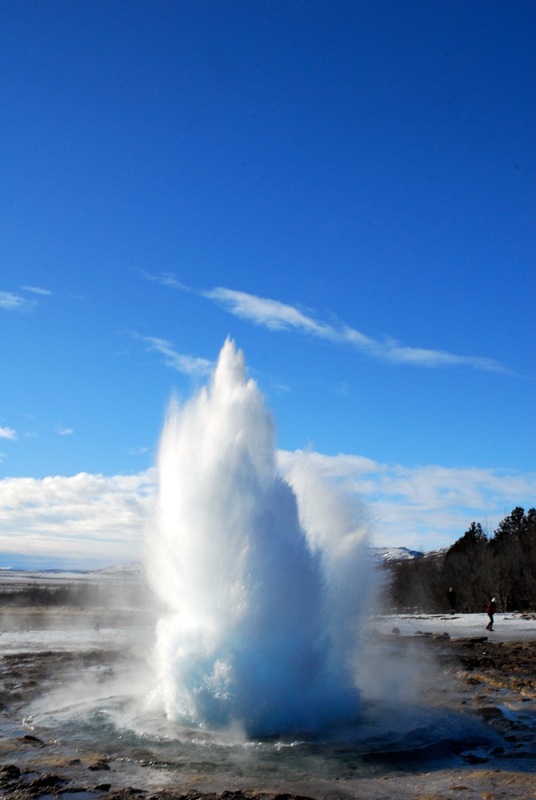 The geyser, Strokkur, erupts and is about to toss a water plume over 100 feet into the air. Some of the fun of a visit to Iceland is watching these guys leap out of the ground. Strokkur puts on a display every five to eight minutes. Here it is just starting to erupt. Strokkur’s plume grows as forces under the earth eject the water skyward. Reaching a height of 100 feet or more, Strokkur provides an exciting spectacle for visitors to the Geysir geothermal area near Reykjavik. It was part of our introduction to Iceland, which was a three-day getaway that turned out to be informative, enlightening, and way more fun than we could have predicted. We discovered that Iceland is hot. Seems contradictory, but really, it’s like a big hot rock—under the surface, that is. On top, in winter, it’s much like the northern tier central United States. We showed up there on March 1 and the weather reminded us of our home state of Minnesota. 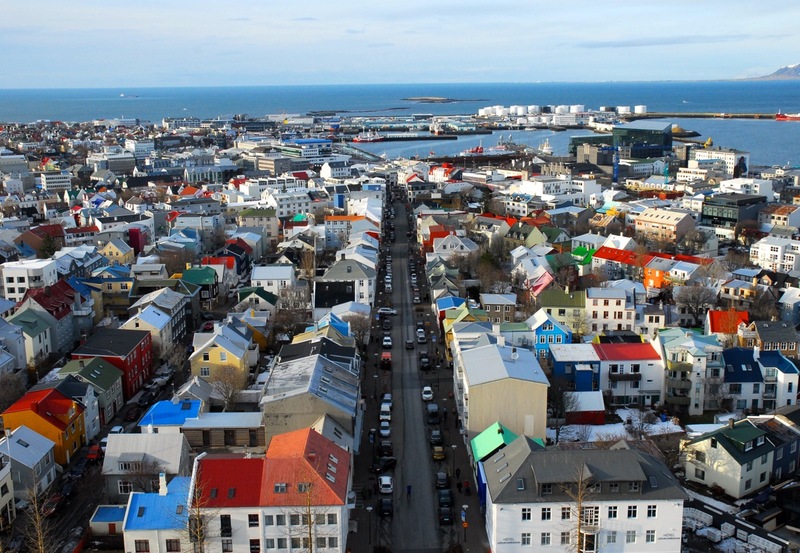 About 120,000 of Iceland’s 330,000 citizens live in Reykjavik. The entire city is heated by hot water, provided compliments of a nearby volcano and modern geothermal heating technology. ’Tis true. Lured by the Icelandic travel industry’s aggressive promotion of the island (and a coupon), and recommended by a friend who had visited, my wife and I set off on what was billed as a five-day vacation, albeit two of the days were travel days. Much of what makes Iceland such a fascinating place is that it is, literally, being torn in half. A fault cutting through the middle of the island (and the Atlantic ocean) marks the juncture of the European and American tectonic plates, which are actively separating. 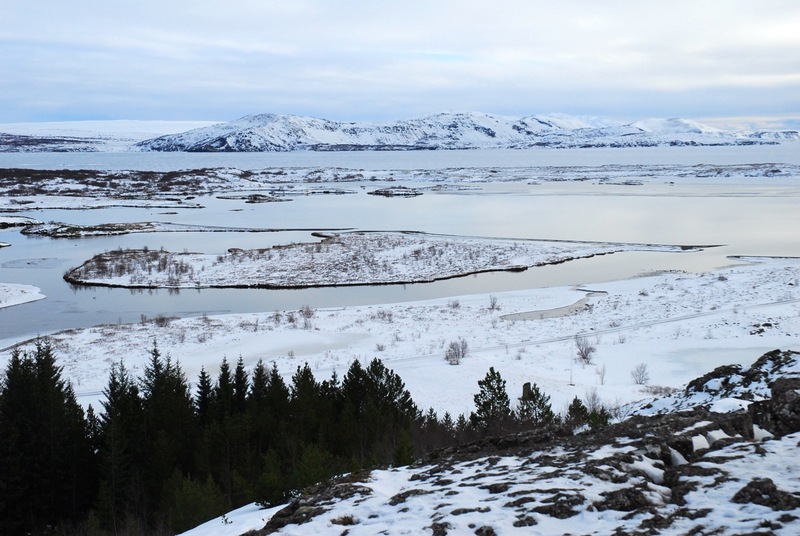 It is most profound to stand on the viewing deck at Þingvellir National Park overlooking the continental rift valley and realize that forces within the earth are pushing the other side of the valley away from you. Þingvellir National Park provides a spectacular view of the continental rift, which splits the island and where the American and European continental plates separate from each other. The two tectonic plates move away from each other at about the same rate as fingernails grow. If you happen to be a Game of Thrones fan, some of Þingvellir’s landscape may look familiar. The popular HBO fantasy miniseries found Iceland’s frozen landscapes and glacial regions perfect for creating the wintry climates for the show’s mythical realms. Of course, Iceland is for real-world travelers, too. The geothermal activity resulting from its volcanic under-land creates unique landscapes and natural phenomena that offer multiple activities and explorations for sightseers as well as outdoor enthusiasts. We found that this North Atlantic island is rife with subterranean activity. Volcanoes, for instance—30 or so active ones. They blow up every so often, too. 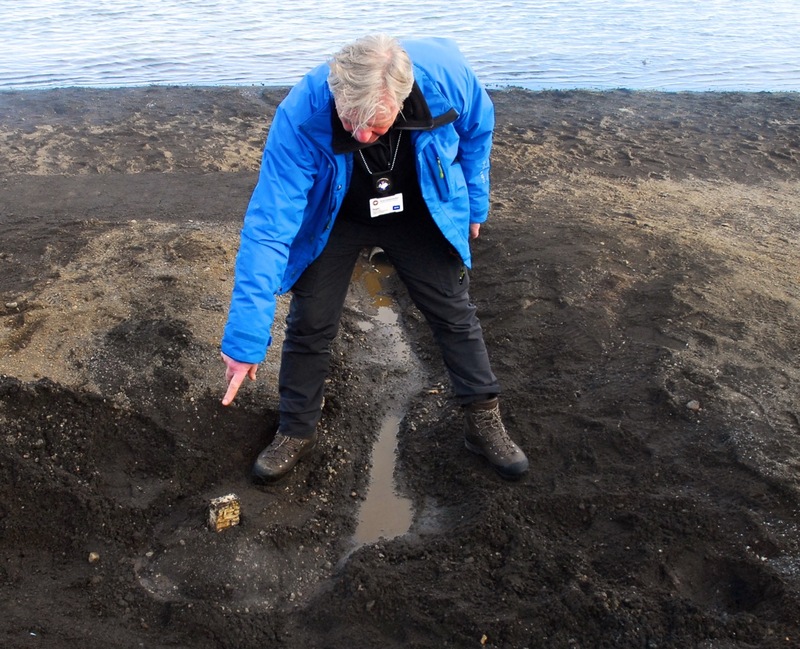 Remember in 2010 when one of the volcanoes exploded and blew a huge ash plume to northern Europe and disrupted commercial aviation for several weeks? We discovered Iceland’s geothermal wonders as part of the Golden Circle day trip (offered by several tour companies) from Reykjavik. The day trip reveals the island’s unique geology. For instance, geysers pop up at different locations on the island. The most famous is Geysir, and the Golden Circle day trip included a stop in this geothermal area. 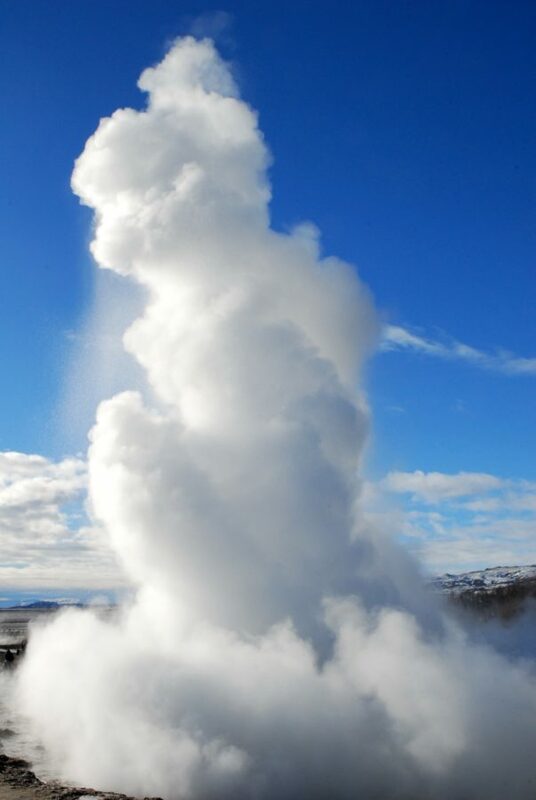 Geysir is the geyser from which all geysers the world over take their name. Geysir no longer erupts but nearby Strokkur does, providing a spectacular sight. Water is a big deal in Iceland. The country boasts some of the purest drinking water in the world as well as warm pools here and there over the landscape that permit spontaneous skinny dipping opportunities for locals and intrepid tourists. We were especially amazed to see boiling water gurgle out of the ground. That’s right—boiling water! I dipped my fingers into the lake water near this phenomenon and, lo and behold—it felt like bath water. For generations, Icelanders have baked hverabrauð (lava bread). It’s a sweet, sticky rye bread that is baked using geothermal technology—steam rising from below ground. Our guide points to a baking pot of bread, about eight inches under the surface. In some locations, the ground is so warm that locals bake bread in it. Really. The dough gets buried near an underground spring about eight inches deep and in 24 hours—voilà—hverabrauð (translated variously as lava bread, steam bread, or hot spring bread). It’s a sweet, sticky rye bread that is baked by geothermal steam rising from far below ground. The practice is generations old. The bread is also known at times as brumari, which translates roughly as “thunderbread,” a nickname earned from intestinal activity said to be created by excessive consumption of hverabrauð. But the underground activity that really captured our attention was the geothermal power plant we visited. Get this: it’s built on a volcano. The technology uses geothermally heated underground water to, in turn, heat fresh water, which is then piped underground to Reykjavik to heat the city. The whole city. The volcano is like a giant boiler for the city of Reykjavik. The system produces totally clean energy with no pollution. The used water is pumped into a pool to cool before being once again pumped underground for reuse. While it’s cooling, guess what? The cooling pool creates, in effect, a giant hot tub in which locals and tourists love to relax. It’s called the Blue Lagoon (because of the water color). We tried it. It’s really cool—well, warm actually. The water contains minerals and salt, and you can smell it, but it is not offensive. Wading into the Blue Lagoon provides a unique experience, especially when aquatic visitors sidle up to the lagoon’s bar to get a glass of wine or other beverage while enjoying the warm water. No visit to Iceland is complete without an attempt to rendezvous with the Northern Lights. The spectral shimmering of this astral electrical display certainly can evoke the feeling of being in one of the world’s hidden corners. Part of our introduction to Iceland included an excursion into the dark countryside some distance from Reykjavik in an effort to view the aurora borealis. We drove for nearly 45 minutes in order to isolate ourselves from the intrusion of city lights. It was a dark and windy and cold night (really, it was dark and windy and cold) as we stood atop a hill on a golf course and waited. Some hopeful aurora borealis gazers capitulated to the cold and sought the warmth of the waiting coach at the bottom of the hill. Finally, about 11 p.m. for those who remained, the wraithlike aurora appeared, shifting and flickering as it spread its green light across the northern horizon. 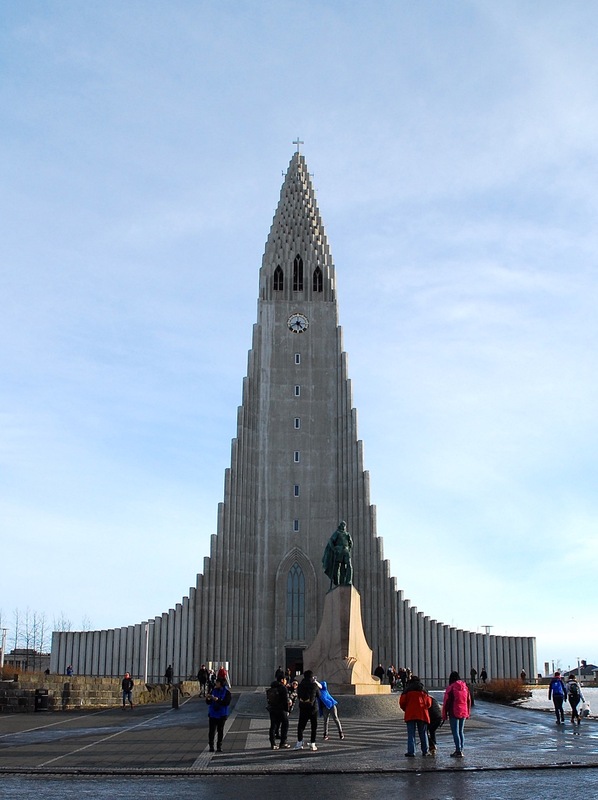 Rising to a height of 245 feet, Reykjavik’s landmark church, Hallgrímskirkja, makes a handy reference when walking about the streets because it can be seen from all over the city. It provides an impressive view of the city from the top of the tower. Back in Reykjavik, the narrow streets proved easy to navigate and we wandered about without concern for losing our way. Reykjavik is not a large city in the sense of New York, Chicago, or Los Angeles—or for that matter, Minneapolis-St. Paul. With a population of 120,000 in Reykjavik proper, and somewhat over 200,000 in the greater Reykjavik area, walking through the city feels more like moving through neighborhoods than municipalities. The city’s landmark church, Hallgrímskirkja (Hallgríms Church), sends a 245-foot spire skyward, making it a handy reference because it can be seen from all over the city. If you’d like to look down on the city, take Hallgrímskirkja’s elevator ($10) up the spire, then continue climbing stairs to the bell tower. You will get a great 360° view of Reykjavik. We enjoyed a walk along Laugavegur Street, which is a sort of main drag for local businesses. Even in March, the street was active and busy with people bustling into and out of local shops and the many cafes that mark local culture. We stopped at Kaffi Brennslan Coffee House and Bar for a sandwich and coffee and found the cafe full of students working in groups with open laptops and tablets. Fish barrel stools and long, communal tables provided the décor at Reykjavik’s landmark Sægreifinn (Sea Barron) restaurant. 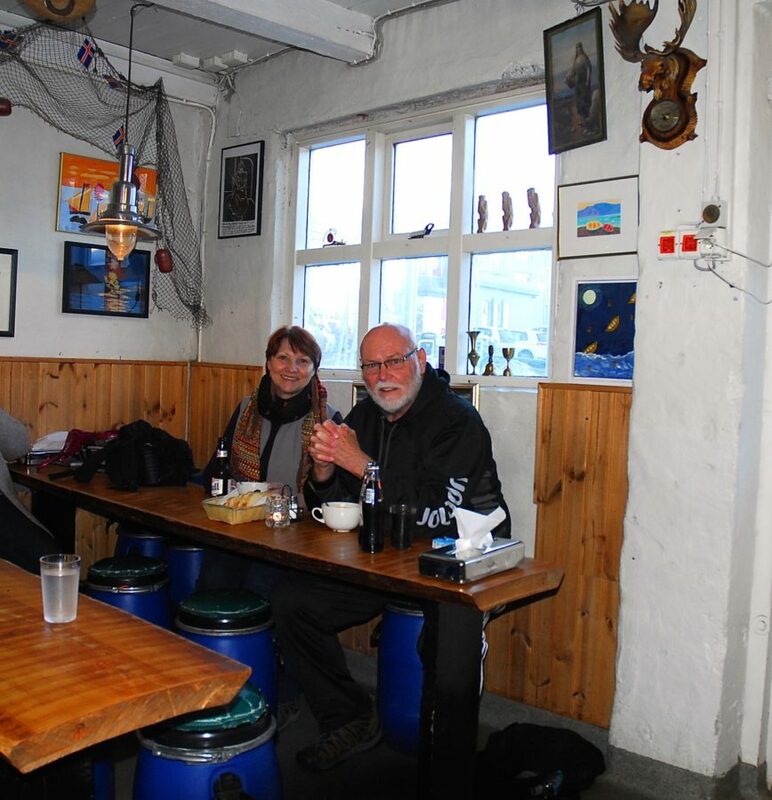 It’s known for its humarsupa (lobster soup), which the author and wife, Joseph and Charleen Koppi, are about to enjoy, along with a fish kebab. Dining can be expensive in Reykjavik, with dinner tabs at full service restaurants running as high as $50 to $75 per person. For my wife and me—well, we have a Bohemian streak in us. We remember searching the off-tourist streets of Europe’s cities in the 1970s for inexpensive restaurants. While we didn’t find anything to match those days, we did discover the Sea Barron (Sægreifinn), a great little order-at-the-counter-take-your-number restaurant tucked in among several pricey restaurants on the waterfront. We walked about two miles from our hotel through the main shopping district to Sægreifinn. With communal eating at long wooden tables with fish-barrel stools, the lobster soup and fish kebab created a memorable dinner for us. Price was about $42 for both of us. Reykjavik is not without its eccentricities. While walking along Laugavegur Street peering into shop windows, my wife summoned my attention to a store across the street. There, above a rather nondescript store front, was a stylized phallus and the name, The Icelandic Phallological Museum. I had to do a double take on that. Indeed, we walked by it at least three times during our stay before my curiosity finally got the best of me. There’s no erotica in this; the museum is a display of 285 various sea and land mammal penises. While the display is quite unusual–even odd, the store’s gift shop offers visitors an interesting choice of memorabilia guaranteed to launch an evening of conversation at your next dinner party. Iceland has been promoting itself for a long time. In 1970, after graduating college, I flew what was then Icelandic Airlines (on four-engine propeller-driven planes, no less) to Europe and back. We had an obligatory stop in Iceland (both ways) and we all had to get off the plane to visit the airport. Those obligatory island stopovers are still the case when you fly Icelandair to or from Europe. I’m glad, after all these years, that I finally took the time to visit Iceland. I learned just enough in this short encounter to know that my exploration of this north Atlantic island is undone.